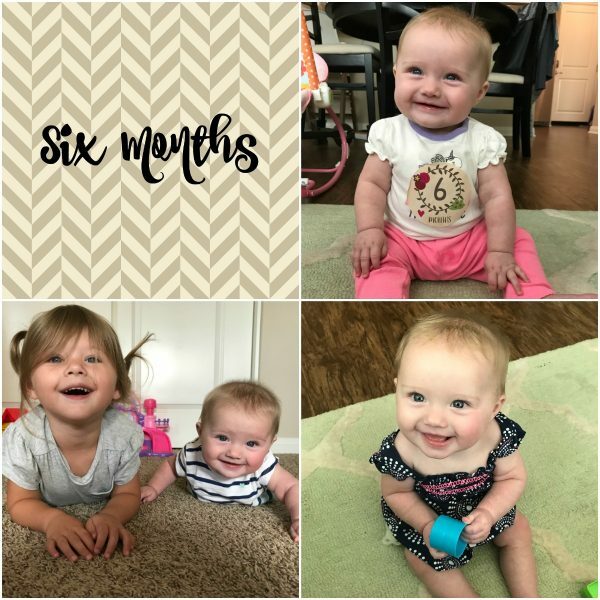 Natalie: Six Months - Eat. Drink. Love. 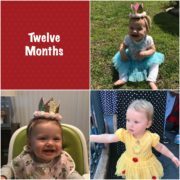 A half of a year! 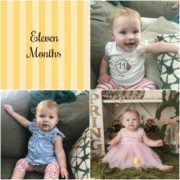 It seems crazy that Natalie is already 6 months old, but here we are! This last month has been really hard, honestly. On the one hand, Natalie is becoming so much more interactive and happy, but she’s been a complete nightmare at night! I’ll start with the good stuff first though. She’s completely mastered sitting up on her own. At her checkup, her ped actually said she sits up better than most 9 month olds that she sees. In my last update I think I said she was almost ready to crawl. Mastering sitting up has kind of taken over though and while she is still trying soooo hard to crawl, she only goes backwards! It’s so funny, but she gets really frustrated and I feel bad for her because she always ends up backing into things and gets her feet stuck. I’m not really sure how to teach her to go forwards, but hopefully she will get the hang of it soon. Sitting up always introduces a whole new world for babies and now Natalie enjoys sitting on the floor being able to play with toys. We can actually get more small tasks done around the house and she can typically sit for a little while and play quietly. It also helps when her big sister is around because she can never take her eyes off of Maddie! She’s also been babbling a ton and smiling and laughing a lot more. As long as she is not overtired, she is really a good baby. She loves going out and looking around. We’ve been making lots of trips to Disneyland lately since we live so close and got annual passes and although she does get tired, she is perfectly happy just chilling in her stroller taking in all of the sights and often doesn’t make a peep. We’ve also been introducing more foods. I honestly feel like she doesn’t care much for purees. She eats them, but she really just wants to take a bite out of our food, I might do a little baby led weaning with her instead of strict purees. Her favorite foods so far seem to be green beans, avocado, bananas, and pears! Okay, so now for the bad stuff, sleep. Ugh, you guys, it’s been awful. I mentioned in my last post that we were transitioning her to her crib and that she wasn’t sleeping well in her Rock and Play and it’s just been a nightmare all around. She has been waking 5-6 times a night. Last week, I’d put her down for bed and she would be up not even 30-60 minutes later. Sean and I were exhausted and couldn’t even get through one 30-minute TV show at night and had no rest. I was also really sick and it just broke me down! She’s been more cranky and I know she is overtired. We’ve been trying to give her a regular morning nap and I know what needs to happen at night, it’s time to sleep train. 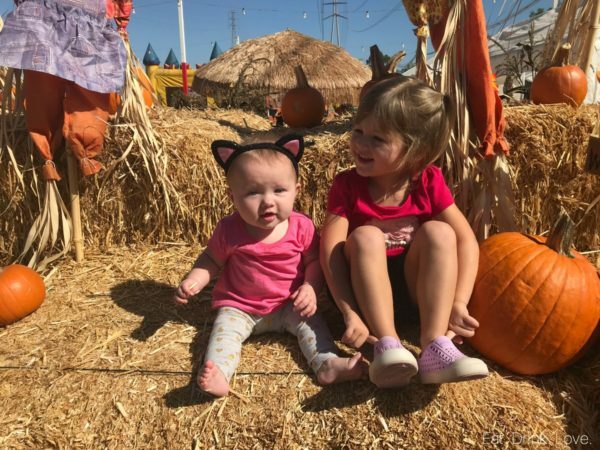 Maddie was basically the exact same age when she started having sleep issues and Natalie is following the same path, she’s waking up out of habit because she wants to be picked up in order to fall back asleep. I’ve created another monster! 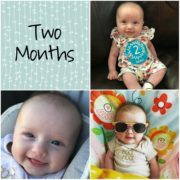 I’m dreading the sleep training, but also can’t continue to go another month on only a couple hours of sleep a night and neither can she! It’s actually been worse than when she was a newborn! Wish me luck! Pingback: Easy Beef and Broccoli - Eat. Drink. Love.